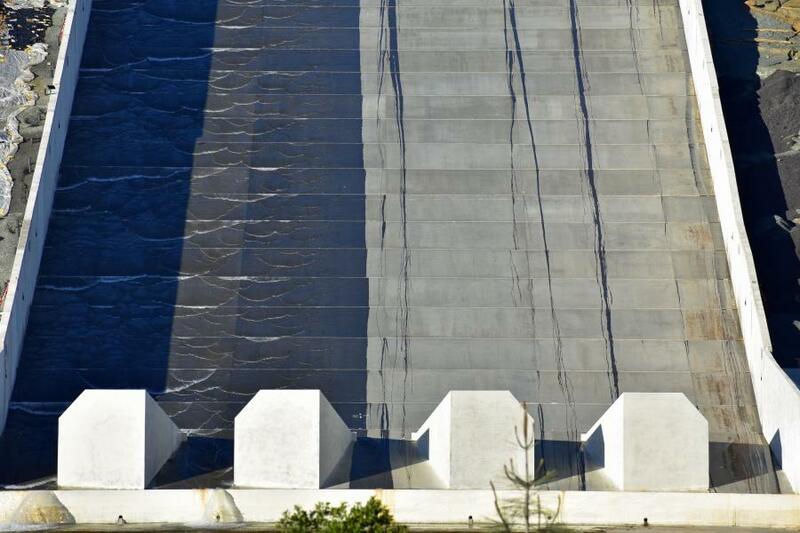 Many New Californians in the Butte, Sutter and Yuba counties have expressed great concern over what they have been seeing error codes from the Oroville dam data exchange center’s hourly charts from the Department of Water Resources. The error codes (N) started showing  up on the charts April 12, 2019 at 3:00 pm PST. when the last reported elevation of the water in the reservoir was at 860.83 feet. By 4:00 pm PST the elevation was reported at 533.22 a drop of 327 feet in the water level. Noted alongside the measurement is letter (N) which indicates there is an error in the reporting. “We don’t know the levels. What are the exact numbers?” stated one Butte County resident. The dam max reservoir is 899.9. Over topping starts at 901 many people were thinking there was an over topping threat as they saw on February 11, 2017. The February 11, 2017 incident was the led to the February 12 dam failure that forced the Sheriff to call for an emergency evacuation of 190,000 people from the inundation zone. 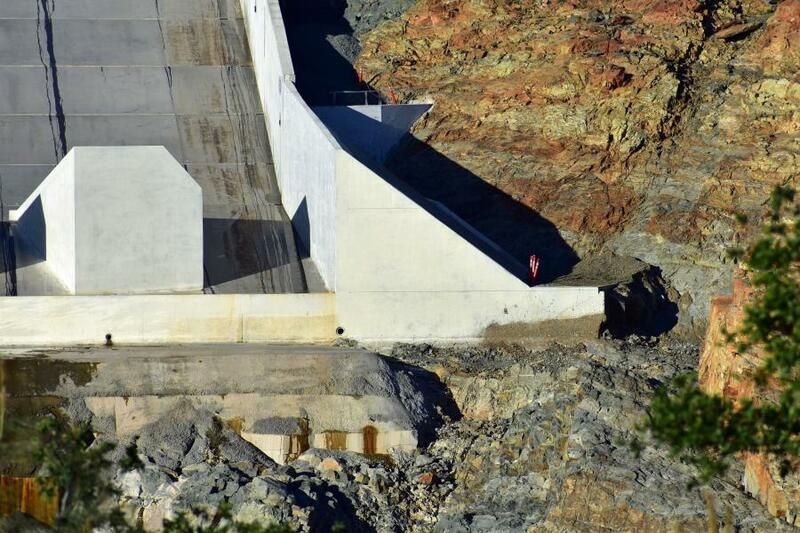 Noted dam expert, Scott Cahill’s material on the Oroville Dam’s condition was forwarded to me. 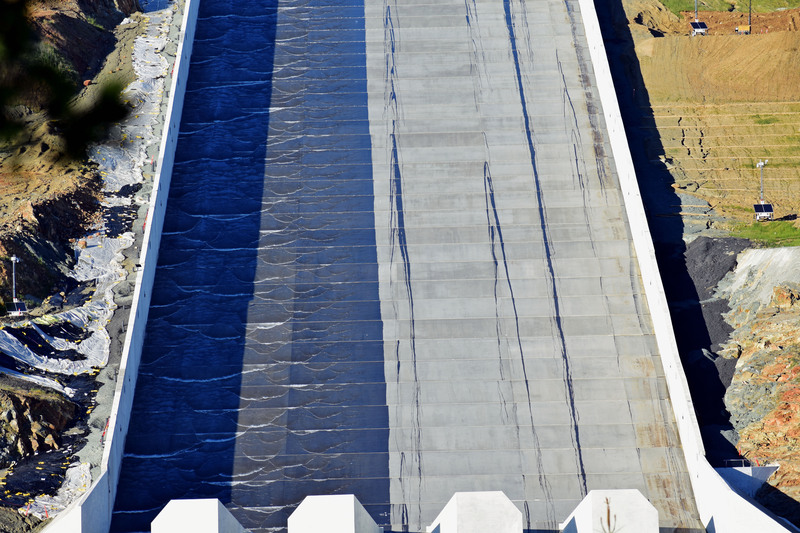 Here is what I have at this point in time..
On the right side of the spillway the plates are leaking. There should be NO water leaking from the seams. The leaks are obvious in all IMG pictures. Spillway is suppose to be smooth. Evidence in all IMG pictures. Notable plate buckling in IMG 8027b, IMG 8026B, IMG 8025b and IMG 8034  From Dam specialist Scott Cahill Watershed Services. I am being sent these photos later today. I am not sure about the delay in doing so and they will be published  as soon as they are received. I suspect that the early is due to the fact that that photos are going to be used in court this morning in order to gain an injunctions against the Department of Water Resources who are using dynamite in the vicinity of the dam in order clear debris. The fear among local experts is that the dynamite could trigger a catastrophic collapse of the dam. This constitutes the main legal argument against DWS in court as per the filed documents. These pictures originated with Scott Cahill. 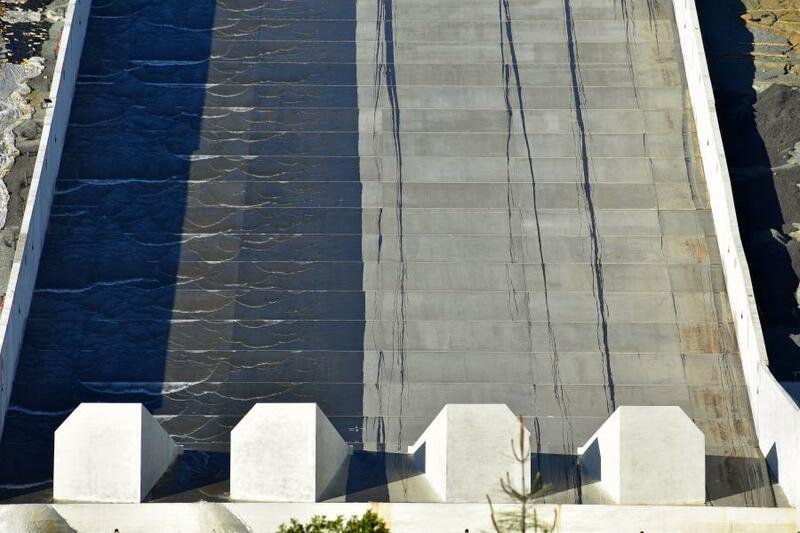 These photos show clear cracks and damage to the spillway, mentioned earlier in the article. Once can see the bulges forming as well. This dam is a critical state. Another sharpening southward plunge of the jet stream will carve into the nation’s mid-section Wednesday, then lumber through the rest of the South and East through Friday. In response to that active jet stream, a low-pressure system will develop in the Plains, importing increasingly warm and humid air from the Gulf of Mexico ahead of it. As a result, we expect numerous thunderstorms to develop in the Plains, Midwest and South starting Wednesday, spreading east Thursday and Friday. Here’s a look at the day-by-day forecast. The threat of severe weather will be rather expansive, stretching from Texas to Wisconsin. In the Plains, severe storms should be most numerous Wednesday afternoon near a cold front from the Texas Panhandle into northern Oklahoma and southern Kansas. Other more widely-scattered severe storms may flare up along a dryline from central Oklahoma into north and central Texas. Large hail, possibly baseball-size or larger, tornadoes and damaging winds are possible in these areas. A separate area of scattered severe thunderstorms is possible in the upper Midwest, including parts of Iowa, southern Wisconsin and western Illinois, with a few tornadoes possible. Wednesday night, a line of severe thunderstorms with damaging winds and perhaps a few tornadoes is expected to sweep into eastern Texas, southern Arkansas and possibly northwest Louisiana. Other scattered severe thunderstorms may rumble through the mid-Mississippi Valley, primarily Missouri and Illinois, overnight. Locally heavy rainfall may also result in flash flooding in a few spots. Thunderstorms will be ongoing early Thursday and will continue into Thursday night. Severe thunderstorms are most probable Thursday in the Deep South, including much of Louisiana, Mississippi, Alabama and parts of the Florida panhandle. At least a few severe storms are possible farther north into parts of the Ohio Valley. This activity may be in the form of a long line of thunderstorms with damaging winds and perhaps some tornadoes. Parts of Louisiana, Mississippi and western and southern Alabama appear to have the greatest chance for tornadoes Thursday, both embedded in the squall line and if any supercells develop ahead of the main line of thunderstorms. This activity is expected to sweep east Thursday night into the Ohio Valley, southern Appalachians and Tennessee Valley. Locally heavy rain may trigger flash flooding in some areas. Thunderstorms should remain quite numerous Friday up and down the East Coast from Florida to the mid-Atlantic states. Friday morning, this line of storms may produce a few damaging winds from the Florida Panhandle to the western Carolinas. The line may then intensify by midday or early afternoon from the Florida Peninsula to Maryland. Damaging thunderstorm winds are the main threat, but a few tornadoes are possible. Locally heavy rain may lead to flash flooding in some areas, as well. Some of these areas may pick up as much as 3 inches of rainfall, particularly from east Texas to the Ohio Valley. Heavy rainfall on already-saturated ground may lead to flash flooding in some locations. This system will also bring soaking rain to the upper Midwest, where snowpack remains in place in some places. The melting of that snow, in combination with the rain, could aggravate ongoing river flooding. April is generally the first month in what is typically the peak of severe weather activity in the United States, which runs from April through June. The severe weather threat begins to migrate from the South to the Great Plains (otherwise known as Tornado Alley) during the month of April. But severe weather can happen at any time during the year. 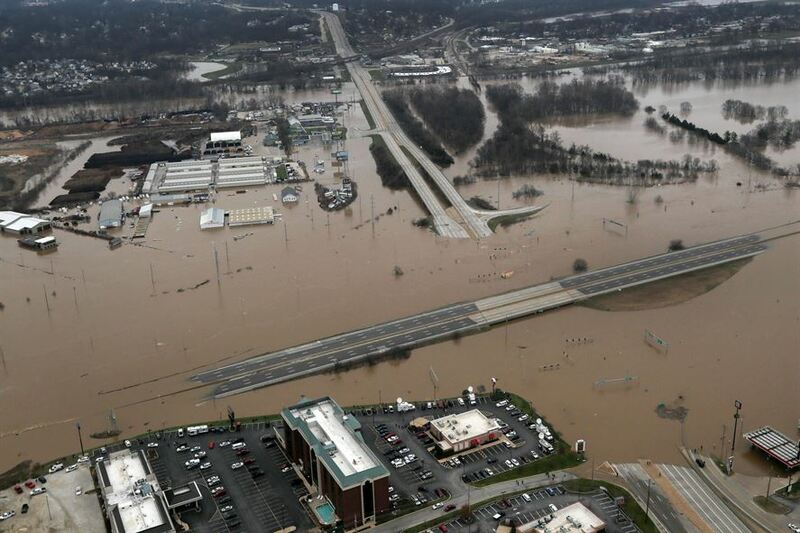 National Oceanic and Atmospheric Administration warned that “historic, widespread flooding” would “continue through July”. 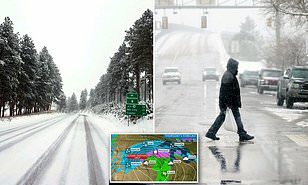 More than 90 percent of the upper Midwest and Great Plains is currently covered by an average of 10.7 inches of snow, and all of that snow is starting to melt. That means that we are going to transition from one of the worst winters in modern history to a flood season that has already taken an apocalyptic turn for farmers all across America. Our ongoing trade war with China had greatly depressed prices for wheat, corn and soybeans, and so farmers were storing more crops on their farms than ever before in early 2019. And then the floods came.